Great location near Corpus Christi attractions like the USS Lexington & Texas State Aquarium. Our park is located on the Nueces Bay. Come stay in one of our long pull-thrus and enjoy our clean pool & Texas shape whirlpool. This is an old campground that needs a lot of updating. All sand and gravel made it extremely dirty. The majority of the sites for full time residents are not very nice. They don't show these on the internet. There are very few nice sites for travelers. The restrooms were more like powder rooms with a small shower. They were clean, but there were only 2 of these rooms for men and 2 for women. Which means if someone was taking a shower -- you couldn't use the restroom! 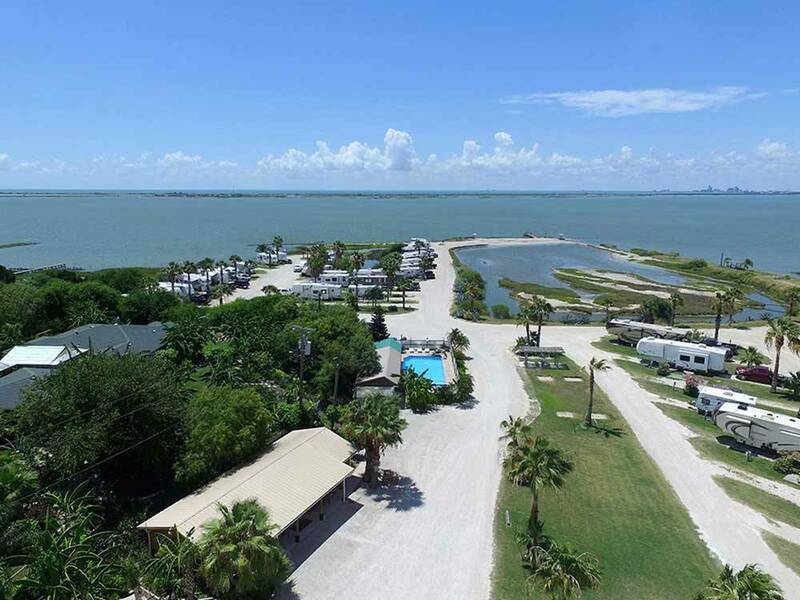 If you have a vehicle, this campground is located close to Corpus Christi and things to do. There are no bike/walking trails or anything within walking distance. And be careful of their reservation system. They said we'd have a spot, but would not take a deposit and would not send me an email confirmation--I called them twice. When we arrived on a Sunday, no one was there to check us in and our packet wasn't left for us. Thank goodness for the maintenance man who helped us find a site. Won't stay there again. VERY DISAPPOINTED! Don't even bother making reservations because they don't honor them when you get there. I made arrangements for a certain lot, they called to confirm while we were in route, then when we arrived we had been assigned a different lot in an undesirable area of park. WE WILL NOT BE RETURNING TO THIS PARK! Typical winter Texan park. Very crowded spots. Very few restroom facilities for overnighters. Centrally located for Aransas and Corpus visits.